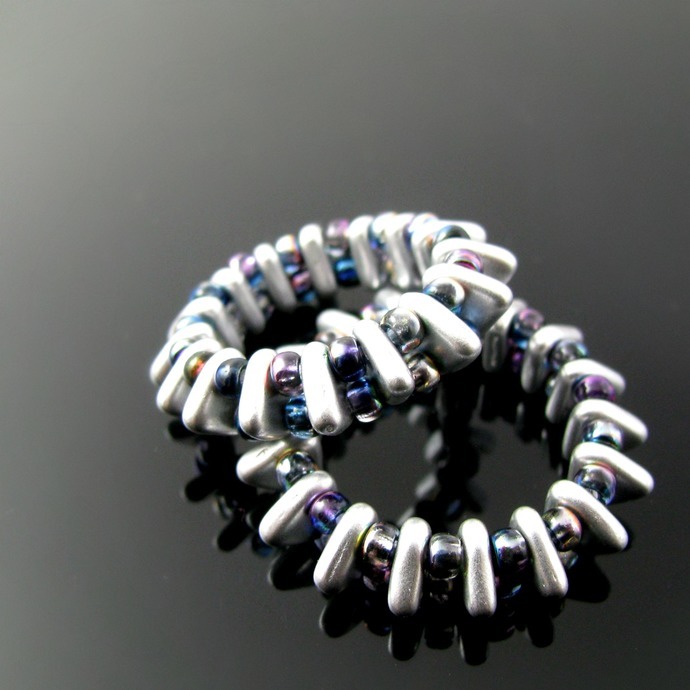 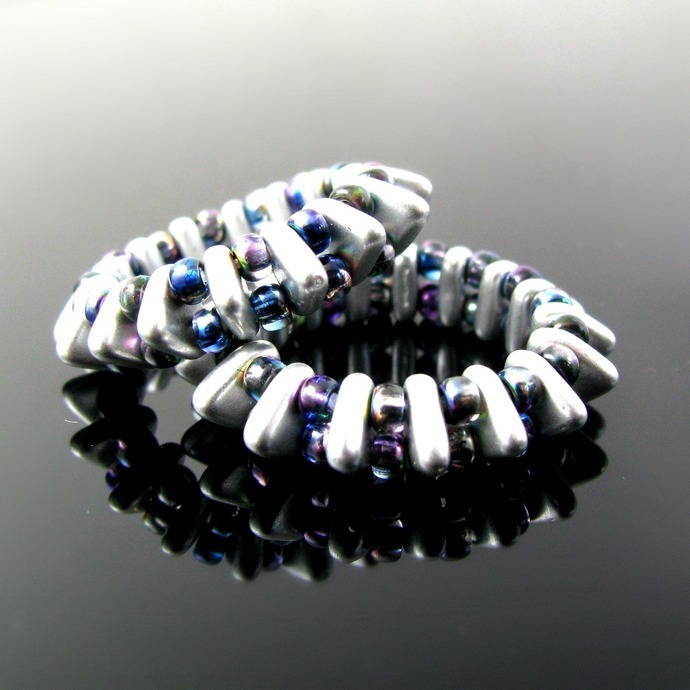 This unique ring is made from silver colored triangle beads and beautifully shimmering large seed beads. 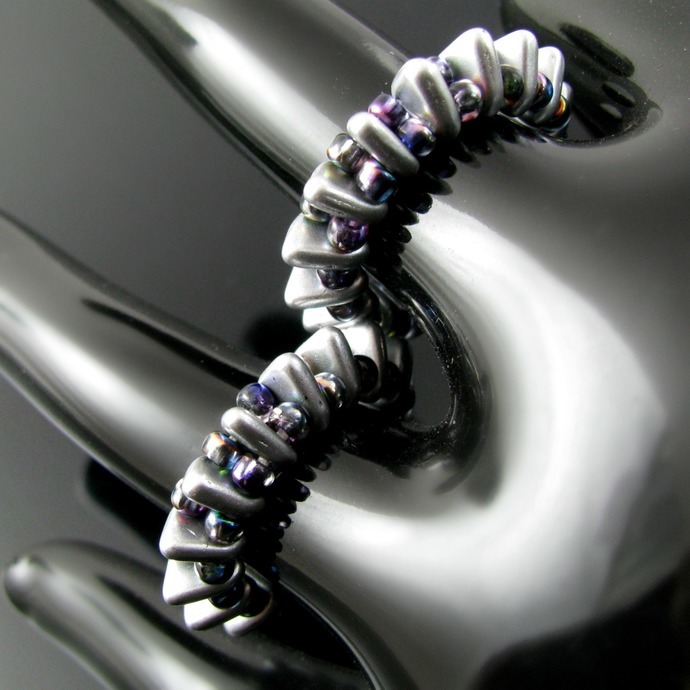 It is slightly flexible on your finger - not stretchy, however! 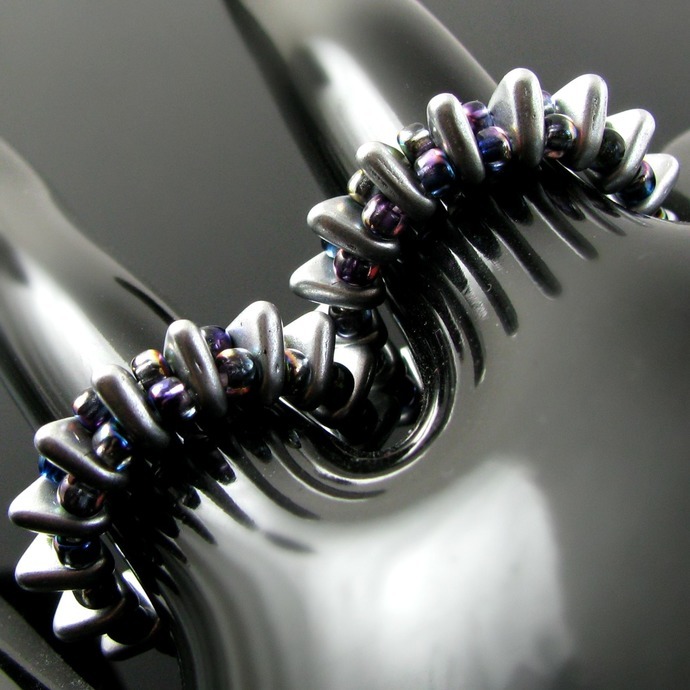 - and not at all uncomfortable to wear despite its edgy look.